Boyds, Md. 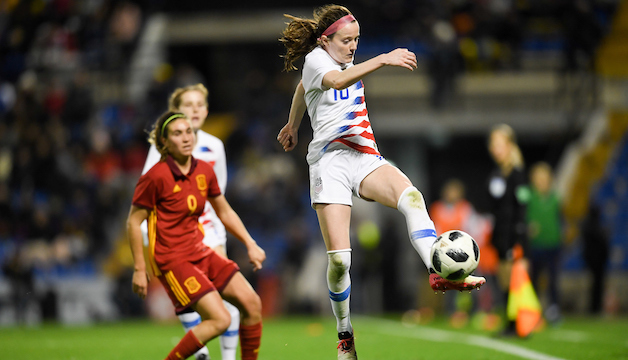 (Jan. 22, 2019) – Washington Spirit midfielder Rose Lavelle provided the game-winning assist on a 54th minute strike by Christen Press for the U.S. Women’s National Team during Tuesday’s 1-0 victory over Spain. Tuesday’s friendly at Estadio José Rico Pérez in Alicante, Spain was the first-ever meeting between the two nations on the women’s side. It wrapped up the USA’s two-game set of European friendlies, which began Saturday with a 3-1 loss to France. The WNT returns to the USA for the beginning of the eight-game, home portion of Countdown to the Cup. The opening match of the 2019 SheBelieves Cup vs. Japan at Talen Energy Stadium in Chester, Pa. on Feb. 27 (7 p.m. ET; FS1).